Eye: A dark robe with shades that shimmer in the light. Nose: Delicate, yet plenty of power. A balance that is rarely found. Notes of tobacco, leather and cinnamon appear, alongside candied fruit. It is very fine, yet lacking weakness. Palate: A long, neverending finale which is simultaneously rich. The eaux-de-vie bequeathed to the Grosperrin Cognac Maison is simply stunning - and are in a very limited quantity indeed. Such is the case for the Grosperrin Tresor No.14 Petite Champagne Cognac which is exactly as its name suggests; a rare treasure. One of the most precious of Cognacs within the collection, this is a wartime Cognac dating back to 1914. This is a once in a lifetime spirit that offers a glimpse into the past; an old Cognac with plenty of power yet gorgeous fragility and elegance. Descending from one half of the Fine Champagne, it is a stunning snapshot of the Petite Champagne terroir. This region has millions of years of geology to thank for its unique make-up. It has typically chalky soil and a maritime climate and makes up approximately 130,000 acres of the entire region of Cognac. Approximately 85 million years beforehand, the area made up the Atlantic seabed, when sea levels were particularly high. Millions of fossils were deposited, forming the fine Cognac and lengthy mature Cognacs that linger. Cognac appears as “Paror” in the inventories of the merchant who sold it several years ago. As with the other Cognacs at the Grosperrin estate, the cask had been stored in a tiny cellar with no electricity, and had never been topped up after a large amount had evaporated. They were left with far smaller stocks, and it is for this reason that the remaining spirit has been guarded carefully and maintained to the highest of standards by the grandson of the Grosperrin Maison. Here, he operates 30 hectares on two small properties. Bottled at 40.8%, it comes in a fantastic hand-blown 1-liter bottle. 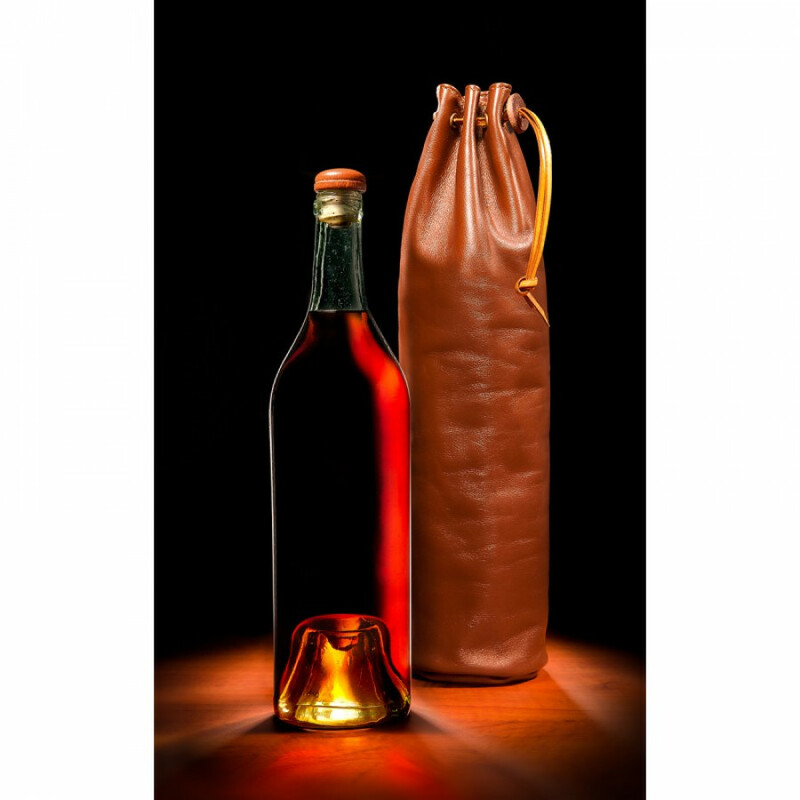 The numbered original blown glass decanter (which is thought to come from the late 19th century) is a liter bottle and arrives in a tanned leather case.